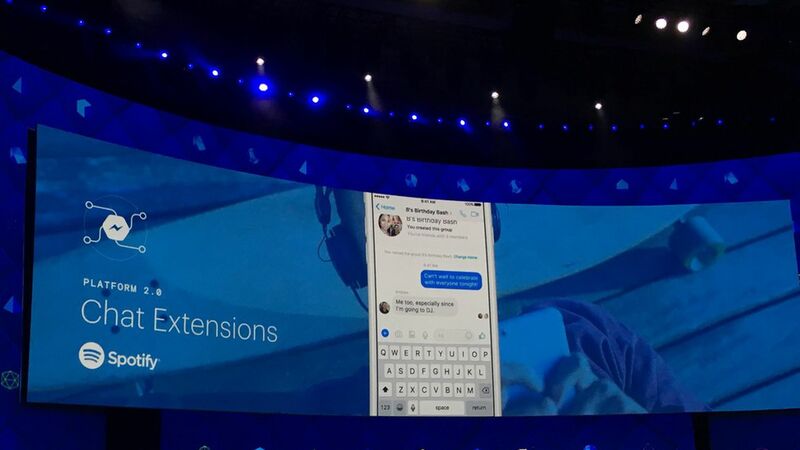 Following last year's big push to bring chat bots to its Messenger app, Facebook unveiled new capabilities and improvements on Tuesday at its annual developer conference in San Jose, California. "We got a lot of attention for opening our platform," said Messenger Chief David Marcus, "and right after we got a lot of attention for all of the work we still need to do." What's new: Chat extensions for adding bots to group conversations, bots for playing games, QR codes for information, a Discover tab with a curated selection of popular bots, and new tools to help businesses build their own bots. There's already a Spotify chat extension for sharing music links in group chats, with Apple Music coming soon.